The range of employment of ecological IBS Scherer parts cleaning devices is very wide and inlcudes oil and vaseline components cleaning and cleaning of impurities in repair business and in interoperable cleaning after work. It can be used also for degreasing in technologies demanding the surface cleannes, e.g. before the application of pulverized coating compositions and plastic materials. The advantage of ecological IBS parts cleaning devices is a fact that during their construction we remembered the equipment with a retaining tank. Retaining tanks protect from water leakage from a barrel and a subsequent leakage of pollutants into surrounding environment. 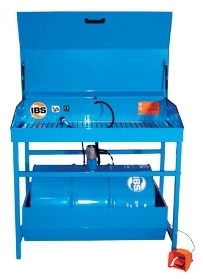 If you employ the IBS parts cleaning device, you will create a degreasing workplace which meets the valid regulations. At the same time, you will guarantee yourself supply of a degreasing medium and a free waste disposal ready for liquidation. 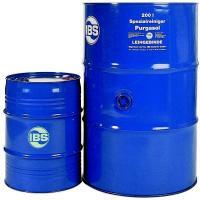 IBS Scherer liquids are harmless organic solvents of an extremely high quality without halogen hydrocarbons. They have a strong degreasing ability while cold and it´s a matter of a rinse-free cleaning. 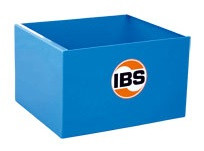 IBS liquids don´t damage lacquered metallic surfaces and don´t cause the aluminium corrosion. They do not have any influence on a corrosive resistance of a steel surface. When choosing products we are ready to advice you and answer your questions. Price calculation for you processed individually with respect to the quantity of goods demanded.